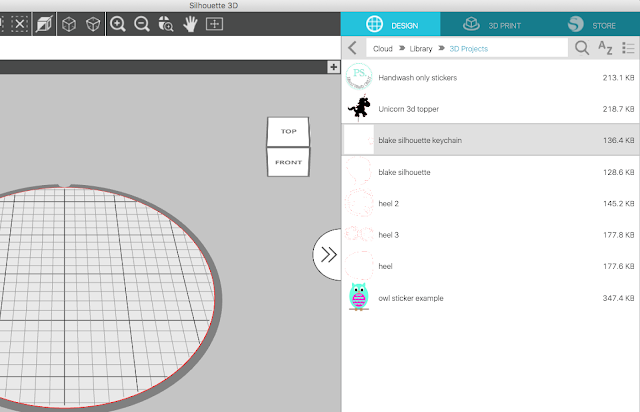 If you have a new Silhouette Alta 3D Printer and you're looking for some help to set it up - you've come to the right spot. 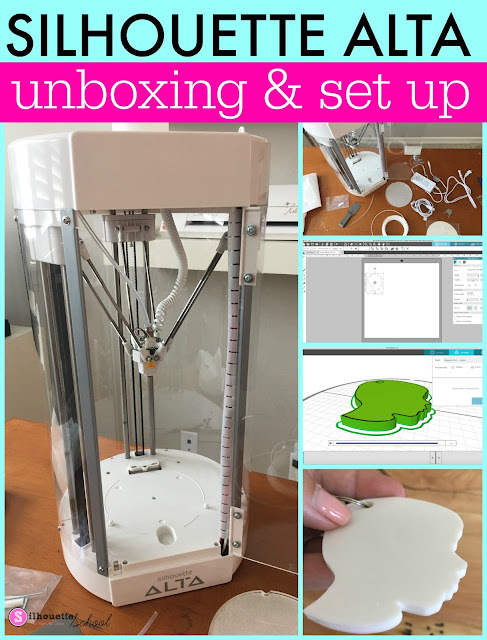 This unboxing and Silhouette Alta set up tutorial will walk you through how to get started with the Silhouette Alta 3D printer. When you unpack your Silhouette Alta the 3D printer will come fully assembled whether you purchase it from Swing Design or on Amazon. 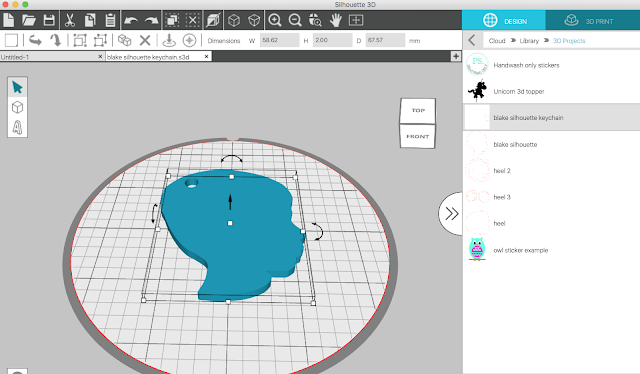 You can get everything set up and start printing your first 3D project in a pretty short amount of time. The first step is to remove everything from the box. Be careful that you do not throw away or miss the clear plastic tube. You'll need that to feed the filament into the printer. You'll notice there is not a software CD included, but the Silhouette Alta 3D software is a free download from the Silhouette America website. 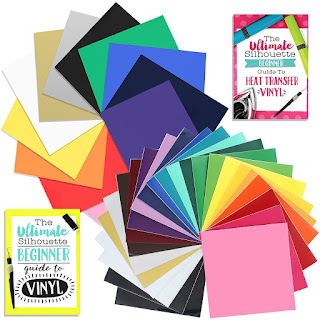 Carefully remove all packing materials and zip ties from the inside and outside of the printer. Start with the round disc - that's the platform base. You'll have a pack of extra tape as well. When you need to replace the tape, peel off the half that has the notch out of it and put that on the base first and smooth it out. Then peel off the second half and fold it down onto the base. The base should be placed into the bottom of the Silhouette Alta with the notch toward the back to fit into the notch on the Alta. Gently press the base down so it snaps down between the two pegs on either side towards the front. Next you'll want to load the filament. A 60g white sample roll of filament comes with your Silhouette Alta. Swing Design also has Silhouette Alta Bundles with filament that include seven 1000" rolls in various colors. To load the filament, first grab the filament holder and place it on top of the Silhouette Alta. Now take the clear straw/tubing piece - that's what will guide the filament into the 3D printer - and put it through the small guide on the top of the machine. Connect the end of the tube into the opening. Your Alta 3D printer includes some white filament to get started. Remove it from the packaging and place it on top of the Alta. Position it so the end can be fed into the straw. Push the filament through the straw until you get to the opening where the straw is connected to the machine. Use your other hand to hold down the lever and continue pushing the filament through. You'll soon see it in the tubing inside the Alta cavity. Keep pushing the filament down until it reaches the print head then stop. There are ports for cord connections along the bottom of the Alta. Next to them you'll find the power switch. Connect the power cords together and then plug the smaller round end into the Alta and the other end into an outlet. Plug the USB cord into the Alta and connect the USB side with the computer. 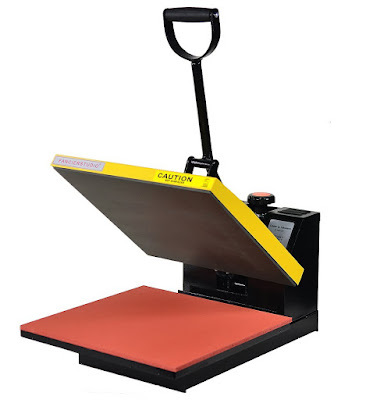 You want to download the Silhouette 3D software for the Alta from the Silhouette America website. Install it onto your computer. All of the designs in your regular Silhouette Studio Cloud folder will also be accessible in the Silhouette Alta software. 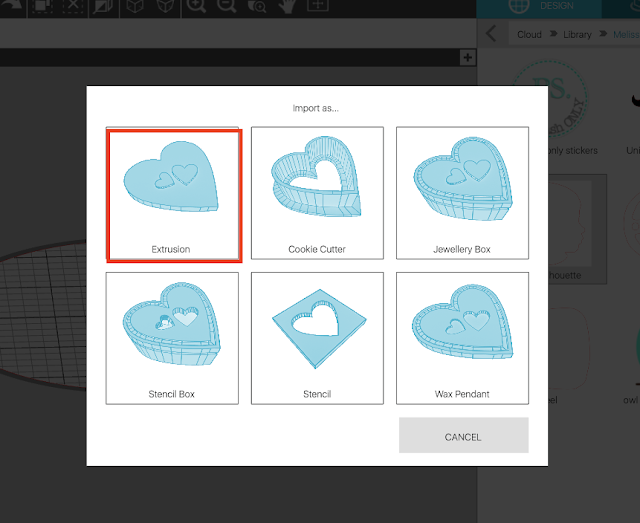 This means you can use your Silhouette Studio files or SVGs in both software programs. 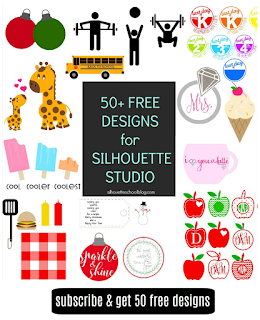 Start in Silhouette Studio by finding your design. 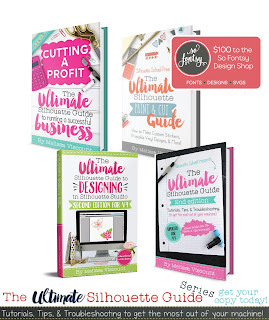 I would highly suggest you start with a very simple solid design to start. I was working with a cut file of my son's profile that I had originally traced from a photograph. For my first Silhouette Alta project, I wanted to try to print it as a keychain so in Silhouette Studio I added a circle for the hole. I got a lot of questions about why I started with something so simple. 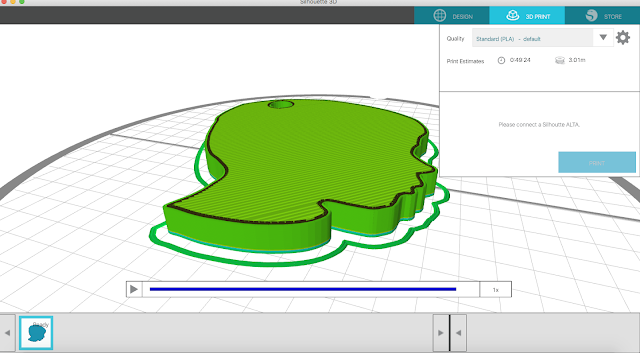 The answer is because this is my first time printing a 3D project, using the the Silhouette 3D software, and using the Alta. I'm learning...and I learn the way I suggest you learn all of your Silhouette machines and techniques...by mastering the basics before jumping into something too complex or advanced. 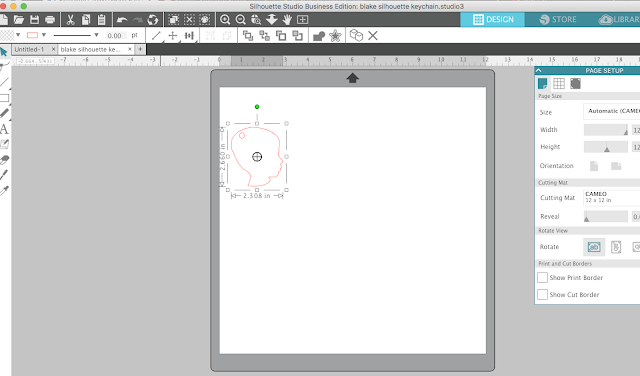 I would suggest you size your design in Silhouette Studio because the dimensions in Silhouette 3D are in mm and I have no idea what that equates to in inches. You'll be like me and end up doing a lot of googling if you don't pre-size in Silhouette Studio. Next save the design to your Silhouette Cloud library. I saved mine in a sub folder called "3D Designs". 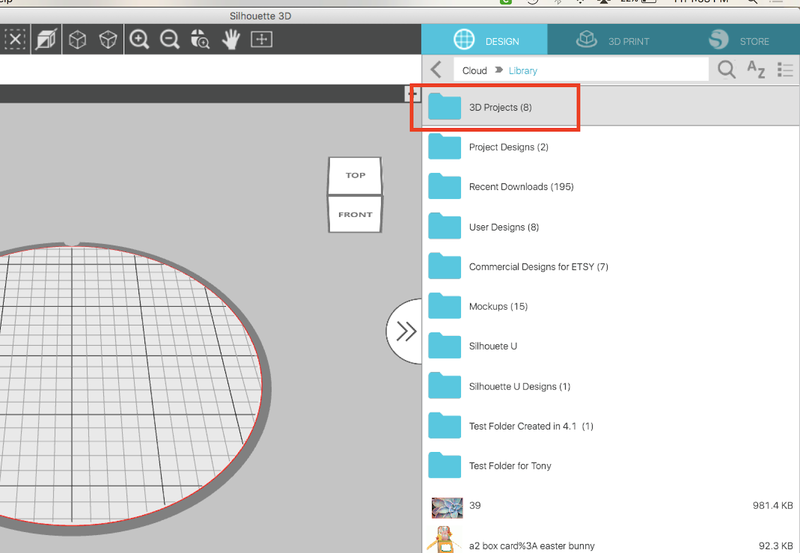 When you are in the Silhouette 3D Library find the correct folder and the design inside. Double click on a design to open it in the work area. You'll then be given six options for how you want to open the design. I would suggest you start with the basic Extrusion. If you want to add more depth then the default grab the square nodule in the middle and pull up or manually enter a dimension for H(eight) along the top tool bar. When you're ready move to the 3D Print tab. Here is where you'll find the estimate time to print and the estimate material usage. For your first print I would not change any defaults. Simply make sure the USB from your Alta is connected to the computer, the Silhouette Alta is powered on, and click "Print". The arms on the machine will move the head to the front of the base while the 3d printer warms up. 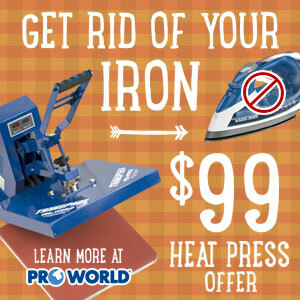 Then the printer will begin with a test line and printing will then begin. 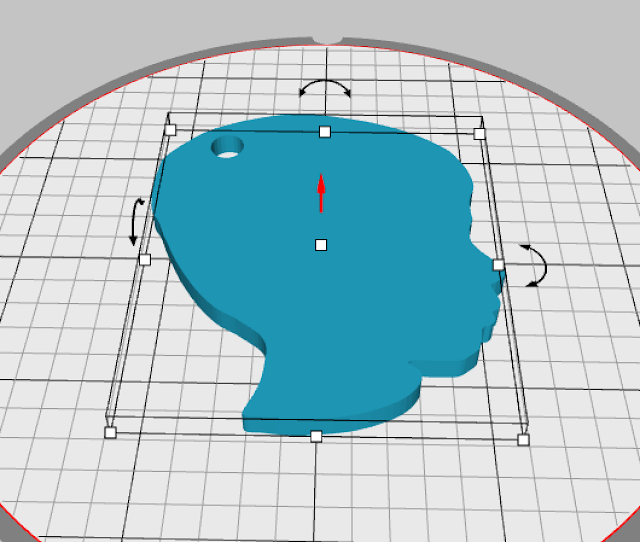 When the print is finished, use the spatula to carefully remove the printed 3D object from base of the Silhouette Alta. Congrats you just unboxed, set up, and made your first project with your Silhouette Alta 3D printer! 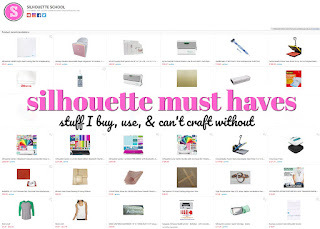 As you get more familiar with the Silhouette Alta and the Silhouette 3D software you can begin making more complex projects - but as I always suggest it's good to start with the very basics as a Silhouette Alta beginner! 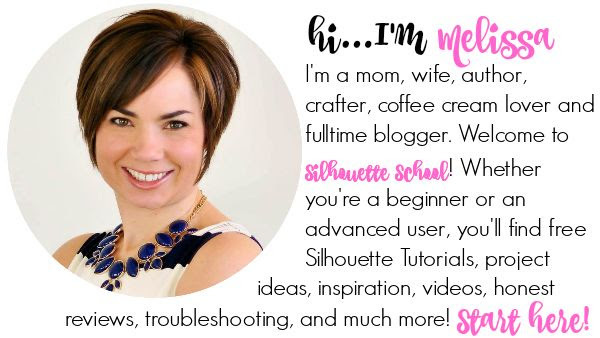 I have done two Silhouette Alta beginner videos on Silhouette School's Facebook Page you can check them out here.